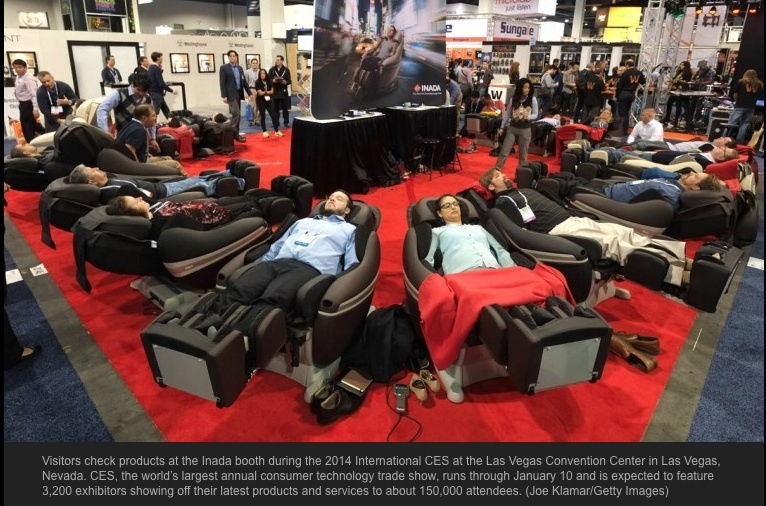 Kudos to Inada USA for Strong Showing at CES 2014! TCA client Inada USA was a real crowd favorite at CES® 2014 in Las Vegas earlier this month. The free massages in the luxurious Inada Sogno DreamWave massage chairs were so popular that at one point the wait to use the chairs was over an hour! The Sogno garnered strong media attention, too, including a segment on the Wall Street Journal Live, and the front page of CNN’s mobile app.